Law Web: Whether Whatsapp forward can be treated as document as per Evidence Act? Whether Whatsapp forward can be treated as document as per Evidence Act? As noticed above, the petitioners are not privy to any information except an alleged WhatsApp circulated post. They have not stated that they have in any manner tried to even ascertain as to whether any of the allegations contained in the petition are true. 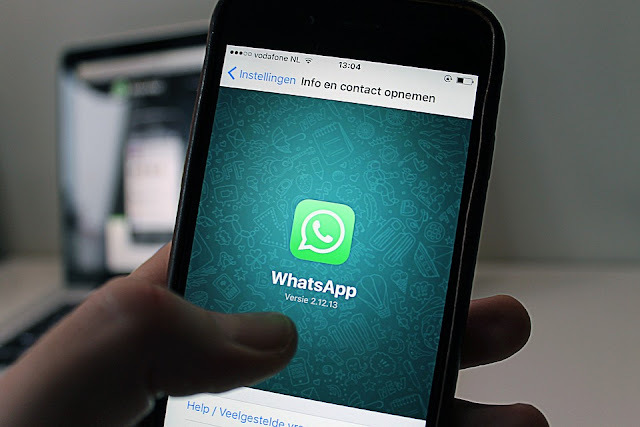 Nothing has been pleaded or shown as to how they could have even formed a reasonable belief that the post allegedly circulated on WhatsApp group could have any authenticity. 27. The petitioners in paragraph 5 of the petition state that "Though the petitioners are none to say that the said suicide note is gospel truth or that the allegations contained therein are so, yet, a vast majority of Indians, including members of the NLC and the petitioners herein believe that the said suicide note carries great amount of credibility........". 28. The petitioners are not able to state as to how they form such a belief. The petitioners have also not shown as to how they are connected or in any manner related to the said allegations made in the petition. 29. Annexure - A does not even qualify as a document in terms of the Evidence Act, 1872, in as much as, neither the original nor the copy of the original has been produced. It is an admitted position that the petitioners have not seen original and have had no occasion to even compare Annexure - A with the original. 1. The petitioners by the present petition seek a direction to the State of Arunachal Pradesh, its police, Delhi Police, West Bengal Police and the Central Bureau of Investigation to register an FIR based on the allegations contained in the alleged suicide note of its late Chief Minister - Kalikho Pul. Further mandamus is sought directing the respondent no. 1 to 4 to register an FIR and to investigate in the allegations contained in the alleged suicide note. 3. The petition has been filed through one Mr. A.C. Philip, Advocate. The petition has not been signed by any of the petitioners and is only signed by Mr. A.C. Philip. At the end of the petition, it is stated "Filed by Mr. A.C. Philip, Advocate for the petitioners". Only signatures of Mr. A.C. Philip Advocate have been affixed on the petition. 4. Along with the petitioner, an affidavit of one Ms. Rohini M. Amin, Advocate (one of the persons arrayed as petitioner) has been filed. None of the other petitioners have filed any affidavit along with the petition. 1. That I am the authorized representative of the 1st petitioner in the above Writ Petition, and the 4 th petitioner in person. I am fully conversant with the facts and circumstances of the case and hence, I am competent to swear this affidavit. 9. In the present case, Ms. Rohini M. Amin in her affidavit does not state that any of the facts alleged in the petition are true to her knowledge or any of the averments contained therein are based on information received and believed to be true. Very cleverly, it has been stated in the affidavit "the contents of the same are true and correct to the best of my knowledge and belief". This appears to have been done to avoid taking responsibility for any of the allegation made in the petition. 11. The alleged document, claimed in the petition to be a suicide note and annexed as Annexure - A, is a typed copy of an English translation of a document stated to be in Hindi. Annexure - A has some redaction and is not complete. 12. Learned counsel for the petitioners was several times asked as to what is the source of the alleged information, based on which this petition has been filed. He stated that the source of information is information circulated and received on social media "WhatsApp" platform. Neither the name of the sender of the alleged WhatsApp post was stated nor was it stated as to which of the petitioners received the WhatsApp post. "northeasttoday.com"., wherein it is mentioned that the note has been translated into English from the Hindi original. 14. Learned counsel for the petitioners very candidly admitted that none of the petitioners have seen or are privy to the original note. He submits that the petition has been filed based on what is being circulated on WhatsApp platform. 15. Learned counsel for the petitioners submits that the petitioners are not in a position to affirm that Annexure - A is a true translated copy of the Hindi version as they neither have seen the original nor are privy to the same. 16. Annexure - A to the petition has been certified as "True Copy". Learned counsel submits that "true copy" signifies that it is true copy of the translation as available on the website "northeasttoday.com". 17. He submits that none of the petitioners can vouch for the document annexed to the petition as Annexure - A. He very candidly admits that the petitioners are not in a position to swear an affidavit that Annexure - A is true to their knowledge. 24. Learned counsel for the petitioner, at this stage, submits that they have not made any wild allegations but they have filed this petition claiming that there is a suicide note and an FIR should be registered.